C. sempervirens is one of the most characteristic trees of the Mediterranean region. Its pointed pillar-like dark-green crown is a pictorial element of the landscapes and is seldom missed in paintings from this area. It origins in the eastern part of the Mediterranean area but was early imported to Italy and soon found its way towards the west. 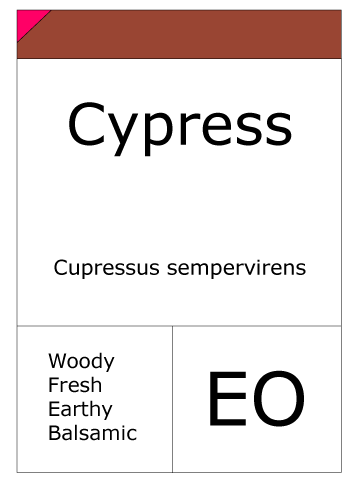 Cypress oil is produced on a minor scale in southern France, Spain and Algeria by distillation of twig cuttings. 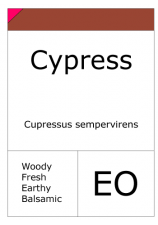 It is a mobile liquid with a woody-piney odor and an ambergris note. 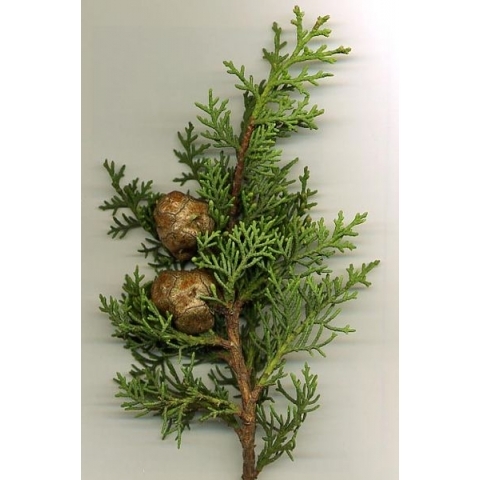 Major components of the oil are alpha-pinene and delta-3-carene. Other olfactorily important compounds are alpha-terpinyl acetate, cedrol and (E)2-(Z)4-decadienyl isovalerate .